If fiction engages the what-if conceit to explore plausible scenarios through direct imaginative immersion, nonfiction presents real-life characters and situations filtered through a writer’s perspective. Yet both genres employ narrative and voice, and require research to ground argument in fact and theme in detail. 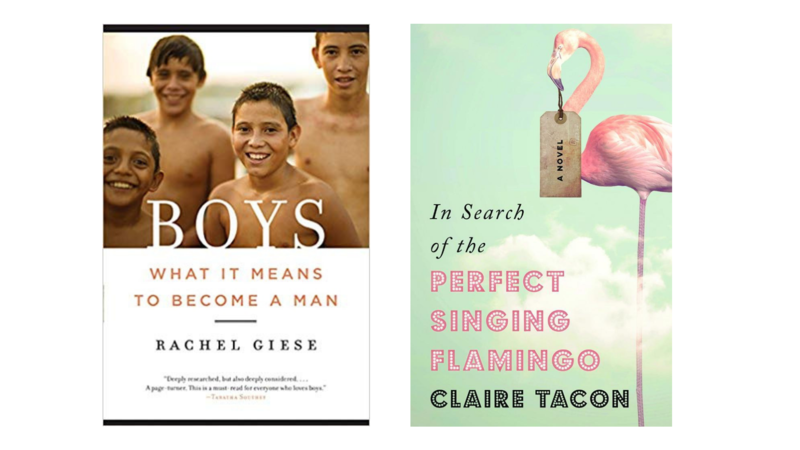 Claire Tacon’s second novel, In Search of the Perfect Singing Flamingo, and Rachel Giese’s nonfiction book, Boys: What It Means to Become a Man, sit firmly in their respective categories, yet respond with similar thoroughness to similar questions. How best to reconcile love and fear? And what does it mean to parent, at a time when the world seems both more dangerous and full of possibility than ever before? The tendency of nonfiction to build a more explicit argument is certainly true of Giese’s Boys, which explores multiple aspects of contemporary Western masculinity via Giese’s real-life quest, as mother and journalist, to understand what is causing the challenges contemporary boys experience in maturing toward adulthood. A seasoned journalist and editor-at-large of Chatelaine magazine, Giese writes fluently and compellingly, integrating her extensive research effectively into a story-telling style, which juxtaposes argument and scene. A white lesbian with an adopted Indigenous son, she also uses her personal experience as a starting point for many of her investigations, and grounds each of her chapters in vivid snapshots of a diverse range of men and boys. My only concern was her chapter on gaming culture. I felt that in her attempt to be positive she underestimated the negative effects of extensive screen time and gaming on children and youth, which applies to young people of all genders. This is one of the biggest problems facing parents and educators today, and although it’s true that we need to listen to children and build bridges with them, and that screens and gaming are here to stay, there is a lot of scientific evidence already about how the proliferation of gaming and screen use disrupts attachment. Attachment is the very area Giese identifies as in need of repair for men and boys. Henry, from In Search of the Perfect Singing Flamingo, is the proud and doting father of Starr, a young woman with Williams Syndrome who loves baking, prepares sandwiches for a catering company and lives in a shared condo with another young woman with special needs. Henry is also the father of Melanie, Starr’s younger sister, who is struggling with infertility. When Melanie and her husband ask for money to try IVF treatments, in part to avoid the possibility of conceiving a child with genetic defects, Henry begins to confront the distance between him and Melanie, and its connection to his drive to protect Starr, whose condition leaves her susceptible to anxiety when things do not go as planned. Henry works for Frankie’s Funhouse, a children’s entertainment franchise similar to Chuck E Cheese’s, and has made it his life’s work to collect the franchise’s animatronics and set them up in a custom-made karaoke parlour for Starr in her parents’ basement. After the awkward family conference at Melanie’s, his decision to drive to Chicago to purchase another—the eponymous singing flamingo—in the company of Starr and a young co-worker named Darren in an attempt to cheer Starr up, appears both foolhardy and heroic, words which could apply to just about any parent who loves their child perhaps too much for their own good. As he admits, ‘while I’m still here, I don’t want to limit her special treatment.’ Meanwhile, Henry’s wife Kath remains hard-headed and practical, her goal being ‘to inoculate Starr against the difficulties of living.’ The latter approach may make more sense, but Henry’s love-in-excess makes for a better story, even while we readers are led to understand its limitations: impulsivity, not to mention a degree of egotism. It’s a tribute to Tacon’s skilful characterization than neither character comes off as one-dimensional, even as they stand in for different sides of a complex debate. Set against this family drama is the story of Darren, aka ‘the walk-around mascot at the Mississauga Funhouse,’ a lovelorn young man desperate to reconnect with his ambitious, film-making ex, Luz, who just happens to be in Chicago the same weekend. The only child of East Asian realtor parents, who constantly compare him to their friends’ son and find him wanting, Darren hides much of his real self and also regularly covers for the lying Jeremy. Invited by Henry to tag along on the ill-fated road trip, Darren uses his Frankie costume to disguise himself both in and out of the workplace. His presence serves as a comedic foil for Starr’s challenges and also provides a corrective parallel: figuring out where you start and your parents end can be hard for anyone. Narrated from a rotating third person limited perspective, the novel moves forward chronologically, while also revealing, chapter by chapter, insights into the four main characters. This technique maintains suspense, suggests the limits of the worlds we inhabit, reveals lost opportunities for communication and invites the reader to make connections among characters, in ways we so often fail to do in real life. At its beginning the novel felt a little slow and perhaps too expository, maybe because of the direct narrative style, but it rapidly gained momentum and nuance. Similarly, I wished at times for more suggestion of the unsaid, more implied layers (although at one point Kath, Henry’s wife, mentions his ‘lack of subtext’ as part of what drew her to him). But perhaps this element of mystery is to be found outside of Tacon’s characters, in the unpredictable world of other people—where questions are raised but not answered. Tacon’s writing is concise, nimble and precise. She packs a lot of information into each sentence, especially sensory and factual details of her characters’ immediate surroundings and concerns. Clearly, she has done her homework: every detail rings true and the authorial voice only rarely overwhelms the characters’. Tacon’s skilfully integrated research and the specificity of the situations in which she places her characters work together to solidify her evocation of some very different social experiences. Starr, for example, is refreshingly presented as a complex young adult struggling with the same existential questions as her non-disabled peers. In Search of the Perfect Singing Flamingo is a courageous example of fiction’s ability to imaginatively evoke our common humanity across difference; it is also hopeful. As the plot unfolds, the themes of risk and unpredictability, and the need to acquire resilience in order to grow, extend into every aspect of the narrative and the characters’ lives. It also becomes clear that the main variable is not so much the environment as other people. Nevertheless, Tacon makes clear, relationship also heals. In her acknowledgments, Tacon notes her personal connection to some aspects of the novel’s storyline: ‘the rollercoaster of infertility, miscarriage and, finally, the births of our sons’ that she negotiated during the near-decade of the book’s development. Like Giese’s passionate yet clear-eyed examination of the world in which her son will come of age, Tacon’s translation of these experiences into such a vivid and precise fictional world is no mean feat. 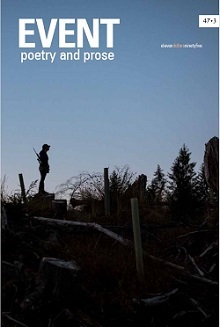 Cathy Stonehouse received an MFA in Creative Writing from UBC. 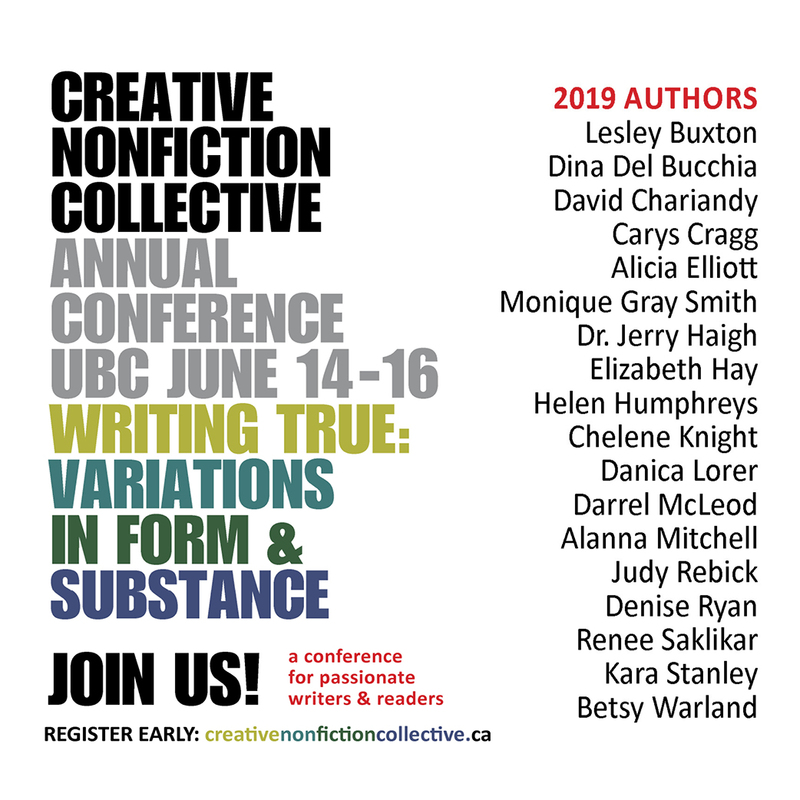 Cathy is the author of a poetry collection (The Words I Know, Press Gang Publishers 1994), co-editor of the creative nonfiction anthology Double Lives: Writing and Motherhood (McGill-Queen’s University Press, 2008) and a former editor of literary journal EVENT.